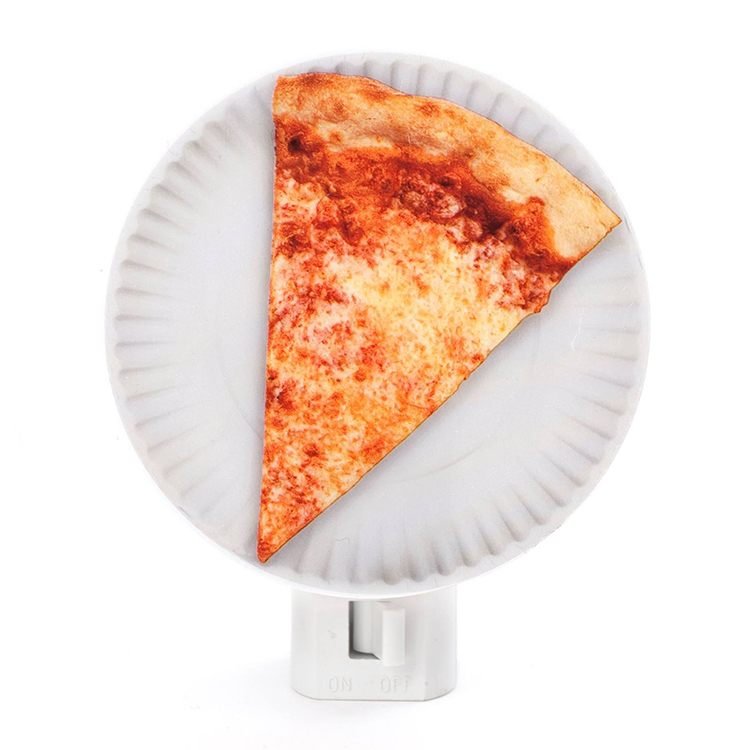 Brooklyn product and exhibition designer Steph Mantis has created the Pizza Night Light, a slice of illuminating cheese pizza that lays deliciously on a paper plate. The awesome night light is available to purchase from Kikkerland. 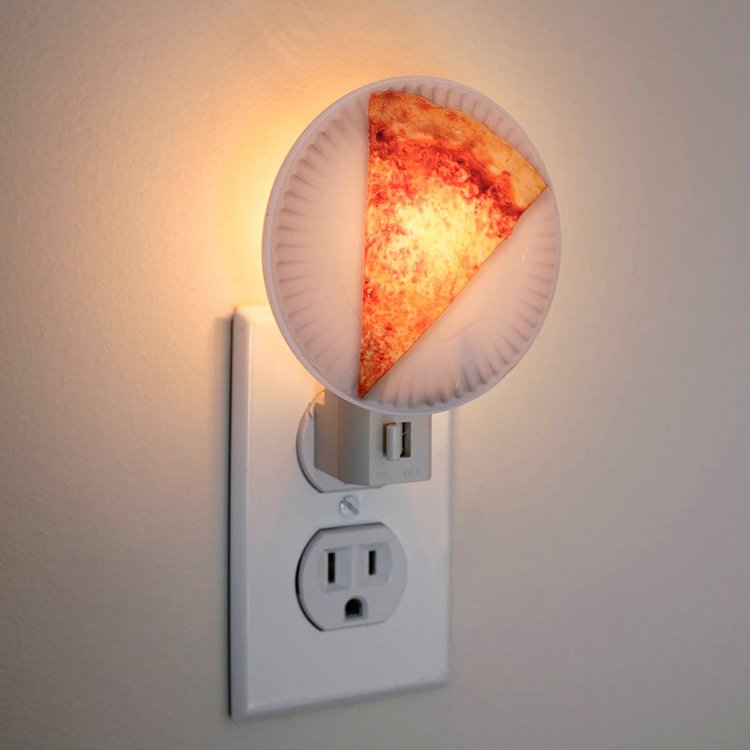 Remind yourself how much you love pizza as you drift off to sleep with this pizza nightlight. 7W bulb included.